Chartism was a working-class movement whose aim was to reform Parliament to permit working men to be represented in Parliament. As a consequence of this movement there were riots in 1839, 1842 and 1848 that were instigated by Parliament's rejection of three Chartist petitions. The riots of 1842 were mainly in the industrial areas of the North West, the Midlands and South Wales, the latter being known as the Rebecca Riots. In the North West, the riots commenced as a protest against wage cuts and these were swiftly taken up by Chartist leaders with the aim of causing a general strike that would carry on until the 'People's Charter' became law. In Staffordshire they were known as the Plug Plot Riots because of the policy of removing boiler plugs to bring factories to a standstill. Manchester and industrial towns to its southeast was a specific centre of attention with strikes, meetings and processions in Ashton-under-Lyne, Dukinfield, Glossop, Hyde, Manchester, Mottram, Stalybridge and Stockport. There were instances of railways being disrupted but the Peak Forest Canal was singled out for special attention, as it was considered to be an important industrial route. For that reason, the canal (and the mills alongside it) received particular attention by the rioters and it is believed to be the only occasion that a canal was attacked in this way. 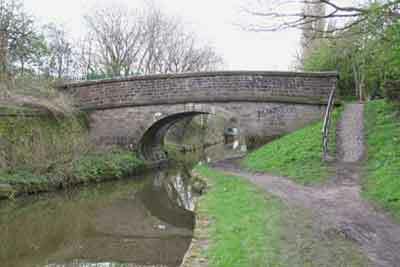 Replicated below are newspaper reports recording the disruption to the Peak Forest Canal. On (Saturday) 13 August (1842), the 3rd Battalion the Grenadier Guards, which was stationed in St George's Barracks, Charing Cross, was despatched to Manchester by rail. With it proceeded a troop of Royal Artillery with two guns, and the entire force was in Manchester by 5 o'clock on the following morning. In the ensuing twenty-four hours a further troop of the Artillery from Woolwich and 600 men of the 34th Regiment of Foot from Portsmouth passed along the London and Birmingham Railway to the scene of the tumult. The first newspaper article describes how the riot, commencing in New Mills, disrupted the working of the Peak Forest Canal, especially around Bugsworth Basin and the canal company's quarries. It also records how local industry was disrupted. This article was in The Derby Mercury on Wednesday, 24 August 1842. Chapel-en-le-Frith. On Wednesday, the 10th instant (10 August 1842), a body of men and women, computed at six and seven thousand, made their appearance in New Mills, Derbyshire, and turned out all the hands from the mills; from there they proceeded to Mr. Walsh's print works, at Furnis, and ordered all hands out. Mr. Walsh entreated them to let him work one day more, to complete an order, but they refused, drew the fire from under the boilers, let off the steam, and forced him to stop his works; from there they proceeded to Messrs. Wright and Hodgson's cotton mills, at Bugsworth, and turned all the hands out; from there to Bugsworth Basin, where they turned out all the lime burners and stone getters at Crist quarry, belonging to the Peak Forest Canal Company; from there they proceeded to the paper works at Whitehall, near Chapel-en-le-Frith, belonging to Messrs. Ingam, Barnes, and Hughes. Mr. Ingam wished to know their object. One of the turn-outs explained that they would have the same rate of wages as they received in 1840, and that they would have it before they went to work again. By this time night had approached, and they returned by the same route to New Mills. Early on Thursday morning they re-assembled, and proceeded to Bridgham-green Mills, belonging to Mr. Riley, and turned the hands out; from there to Chapel-en-le-Frith, where, also, they stopped all kinds of works, and also stopped the carts on the road; from there they went to Mr. Kirk's iron works, and compelled all his men to leave work; from there they proceeded to Blackhole limestone quarries, and stopped all the men at work belonging to Peak Forest Canal Company; and from there to Doveholes lime kilns, which they stopped also. On Friday, the mob having heard that Mr. Walsh's works were resumed, proceeded to the Furnis print works with all haste, let his reservoir off, and did a great deal of damage. All the collieries have been stopped. Note: In the first and third press cuttings below there is confusion about the names (and spelling) of the three persons alleged to have destroyed a lock gate somewhere on the Marple flight of locks in order to disrupt the movement of boats along the Peak Forest Canal. On Tuesday (16 August 1842) three persons named William Mortimer, James Kershaw and William Smith, were committed for trial ---- for rioting and breaking lock-gates on the Peak Forest Canal,on Monday (15 August 1842). At Marple, we are informed, a party of turn-outs from the neighbourhood of Hyde pulled up and destroyed a lock-gate on the Peak-forest Canal, on Monday (15 August 1842), and thereby cut off, for a time, all communication at that part of the canal. Chester, James Kershaw, William Marten, and Joseph Taylor, were charged with having feloniously thrown down and destroyed a lock on the Peak Forest Canal, on (Monday) 15th August (1842), with a view to obstruct the traffic on the line of the canal. Martin and Kershaw were found Guilty, and Taylor was acquitted. Taylor was, however, subsequently indicted for a conspiracy at Marple, and found Guilty. The sentence passed upon the prisoners tried today ---- were as follows: ---- Joseph Taylor, 16 months with hard labour ---- in Chester Castle ---- James Kershaw and William Morton, one year (each), with hard labour, in Knutsford House of Correction. The report below described the Chartists as a mob and it stated that the men in charge were Joseph Taylor of Marple Bridge and Christopher Doyle of Manchester. There was a meeting of just under 1,000 Chartists at Marple on 15th August 1842. After many speeches, Joseph Taylor, Chairman of the meeting, was elected to go to Manchester as a representative. The meeting was adjourned to Posset Bridge (below lock 13) where the delegate, Taylor, was to receive 'proper instructions'. The mob headed by Doyle and Taylor armed with sticks and bludgeons, then moved on to the canal junction (Marple Junction at Top Lock). Here they stopped 7 or 8 boats, tied them to the side of the canal and chased away the horses. They told the boatmen if they were to go any further they would sink the boats. The mob then moved on to Top Lock (lock 16) on the Peak Forest Canal where they started to 'pull the lock to pieces' They pulled a bolt out on which the door (gate) of the lock moves, and threw the lock door (gate) across the canal. A great cheer went up when this was accomplished by 200 - 300 of the crowd still there. The removal of the bolt took about 20 minutes. The navigation of the lock was stopped by this action for 2 days. The above report suggests that it was the single lock gate at the head of the lock that was damaged. Shepley's Mills were situated on the offside of the Macclesfield Canal immediately beyond Shepley's Bridge where there was a also a wharf. Shepley's Mills were sometimes referred to as Rhode Mills on account of two mill masters, Shepley and Rhodes, being related. Rhodes also had a mill in the Glossop area. Shepley's Bridge on the Macclesfield Canal at Marple looking south, 14 April 2012. 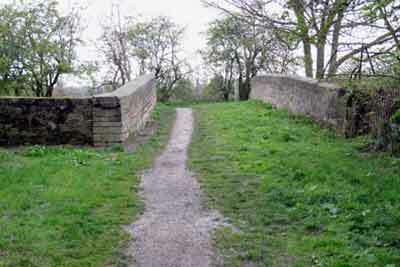 On Wednesday, 10 August 1842, this bridge was the scene of Chartist unrest when a mob of around 250 strong descended upon Shepley's Mills and congregated on and around Shepley's Bridge. Here they were met by Mr Shepley and a number of his workers who were told that, 'We want all the hands turned out of the mills.' Therupon, Mr Shepley stopped the mills and turned out 500 or 600 workers. Shepley's Bridge viewed from the bottom of Shepley Lane, 14 April 2012. Manchester Guardian, 17 August 1842, pp. 1-2. Haywood, A (Manchester) and Cleave, J (London): 'The Trial of Feargus O'Connor (barrister-at-law) and fifty-eight others on a charge of sedition, conspiracy, tumult and riot' (1843). Gammage R G: 'History of the Chartist Movement 1837-1854' (1854). Hovell, Mark: 'The Chartist Movement' Manchester University Press & Longmans, Green & Co, 1925). Pavasovic, Milan: 'No Mean City, A History of Dukinfield' (Neil Richardson, pp. 26-29, 1984).